LAHORE: (Wednesday, July 18, 2018): Punjab University Institute of Agricultural Sciences and Lahore Chamber of Commerce and Industries have organized a national seminar on looming water crises in Pakistan, impact and solution. 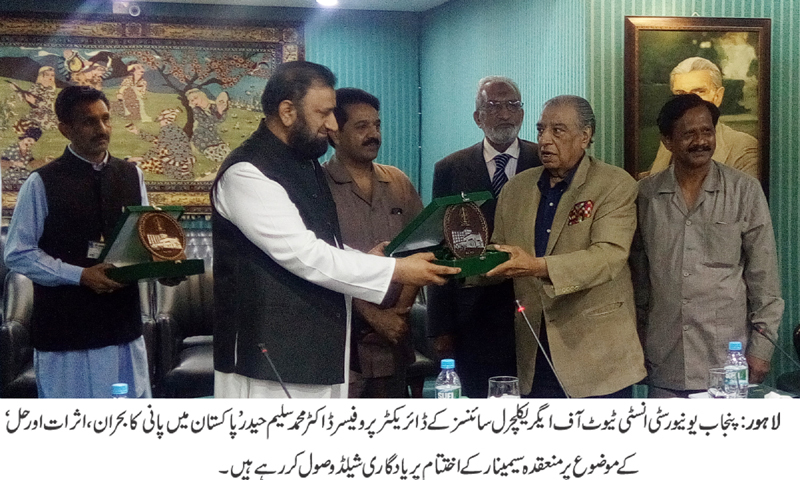 PU IAGS Director Prof Dr Muhammad Saleem Haider, Additional Secretary Planning Agriculture Department Dr Ghazanfar Ali Khan and participants from different organizations and academia shared their views and experiences on water crises in the country. Engr. Zamir Ahmad Somro, Dr. Ghulam Nabi and Mr. Fareed Noon and Dr. Bilal Chattha, Assistant Professor (IAGS) presented comprehensive reports about the importance and management options of water resources. The chief guest during his address told about the policies of Agriculture Department to minimize the water crises. He also shared the latest developmental schemes of Agriculture Department. 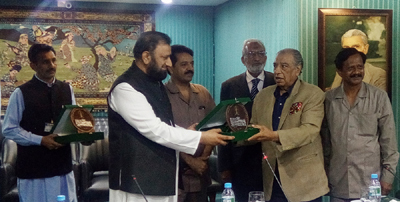 Prof. Dr. Muhammad Saleem Haider in his concluding remarks focused on the judicious use of water in routine life and highlighted the importance of the Kala Bagh Dam. Group discussion was arranged and the options for the construction of water reservoirs were discussed. At the end, attendees were agreed to use high efficiency irrigation systems for water thirsty crops to enhance water use efficiency and build the dams immediately to conserve the water.